Palo Alto Software and the California Business & Entrepreneurship Center Program partnered to host California’s first-ever $35,000 business plan competition, and they announced the winners during a live webinar yesterday. 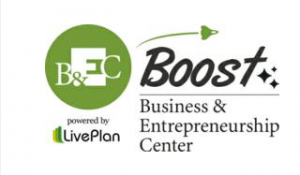 In October of last year, the California Business & Entrepreneurship Center Programs kicked-off a partnership with the world’s leader in business planning and management software, Palo Alto Software, to host the “BEC Boost,” California’s first-ever business plan competition. There were three competing age tracks: 14 to 17 years old, 18 to 27 years old, and 28 years and older, and the winners were announced yesterday during a live webinar. Each age track included three winners; a grand prize winner, receiving $5000 cash and in-kind prizes from various sponsors (LegalZoom, Grasshopper, Vocus, MasterPlans, LogoWorks, and Shopify) totaling $20,000, and a second and third place winner also receiving in-kind prizes to help them “boost” their startup businesses. The partnership enabled 1,200 community college and high school students in California to receive access to LivePlan, Palo Alto Software’s business pitching, planning and tracking software. Over 600 students wrote business plans using LivePlan and submitted them for a chance to win. A total of 76 instructors and advisors from California community colleges, high schools and the Youth Entrepreneurship Program mentored their students on how to write a winning business plan. “It was very difficult to select only nine winners from the hundreds of submissions,” stated Mike Roessler, California Statewide Director of the Business & Entrepreneur Center (BEC) Program, “but we were pleased to have an expert panel of judges reviewing the final plans and sharing feedback about the plans’ strengths and opportunities for improvement. The other thing that made this competition such a success was the involvement and coaching many of these students received from their instructors and advisors,” concluded Roessler. Secure Alcohol Systems: Seventeen-year-old Ismael Kotob from Anaheim Hills, CA won the grand prize of $5,000 cash. Secure Alcohol Systems will increase business profits and lower consumer costs by providing a security system via a magnet lock installed on refrigerator doors of convenience stores and markets selling alcohol that checks for age on identification to verify legal drinking age. iGot it Repairs: Seventeen-year-old Izack Romero from the Santa Ynez Valley, CA was the second place winner. iGot it Repairs is an iPhone and iPod repair company. They strive to build the best customer satisfaction in the iPhone repair industry. The Workshop: Seventeen-year-old Luis Mendoza and his business partner Jose Sotelo Saler from Lompoc, CA were the third place winners. The Workshop is an art supply store that will also provide art lessons to the Lompoc area. They are targeting 10 to 30 year olds, and they will cater to the untapped artist community in Lompoc. Chariot Mobility: Twenty-three-year-old Andrew Ekelem and his business partner Michelle Sangalang from Walnut, CA won the grand prize of $5,000 cash. Chariot Mobility’s focus is to make the best in-class customized manual wheelchair that uses advanced propulsion system and materials. They are creating the first manual wheelchair to be maneuvered solely from a lever system, which enables users with a smaller profile and allows for greater efficiency. Garden Fresh: Twenty-seven-year-old Matt Penrice and his business partner Chris Coulter from Sacramento, CA were the second place winners. Garden Fresh is a provider of organic and locally owned produce that serves the Sacramento region. They offer the freshest, in season, locally grown and organic produce, directly to the consumer’s doorstep. Noelle Notals: Twenty-three-year-old Brandie Slaton from Merced, CA was the third place winner. Noelle Notals is an online entrepreneurship training company, on a mission to inspire, empower, and unleash the inner entrepreneur by providing various e-learning tools and programs. Freja’s Foods: Thirty-eight-year-old Freja Nelson from Oregon House, CA won the grand prize of $5,000 cash. Freja’s Foods makes VegiMeat, a delicious alternative to meat. VegiMeat is soy-free, vegetarian and vegan. Made with simple ingredients, each 8 oz. package of VegiMeat has 52 grams of soy-free, cholesterol-free protein. GiddyUp and Go Sleigh and Carriage Company: Fifty-one-year-old Sheri Spanial from Vinton, CA was the second place winner. GiddyUp and Go is a full-service horse drawn vehicle business. They provide sleigh rides, dinner sleigh rides, elegant wedding transportation, as well as specialty themed transportation, for family fun, celebrations or special events. Shine Wellness, Inc: Forty-five-year-old Evette Tsang and her business partner Tian Wu from Sacramento, CA was the third place winner. Shine Wellness, Inc promotes self-wellness by introducing high-quality, time-honored TCM (Traditional Chinese Medicine) inspired natural Chinese herbal tea and foot care products and methods. “We have supported hundreds of business plan competitions over the years, but this is our first time being part of a statewide competition. It’s great to know we are helping young entrepreneurs in California bring their passions to life,” stated Sabrina Parsons, CEO of Palo Alto Software.